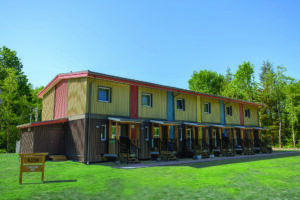 The Yale First Nation was looking for an innovative solution to provide adequate housing for members of their community that would go beyond meeting the minimum building code requirements. Britco Construction assisted with the design, manufacturing and installation of a modular Passive House complex that could withstand the wet climate conditions of the area, reduce energy costs for residents, and offer a more environmentally responsible housing alternative. 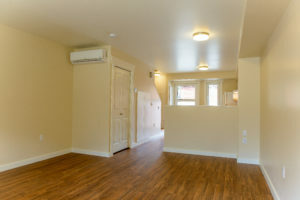 The multi-unit Passive House project consists of six, two-storey, attached townhomes. 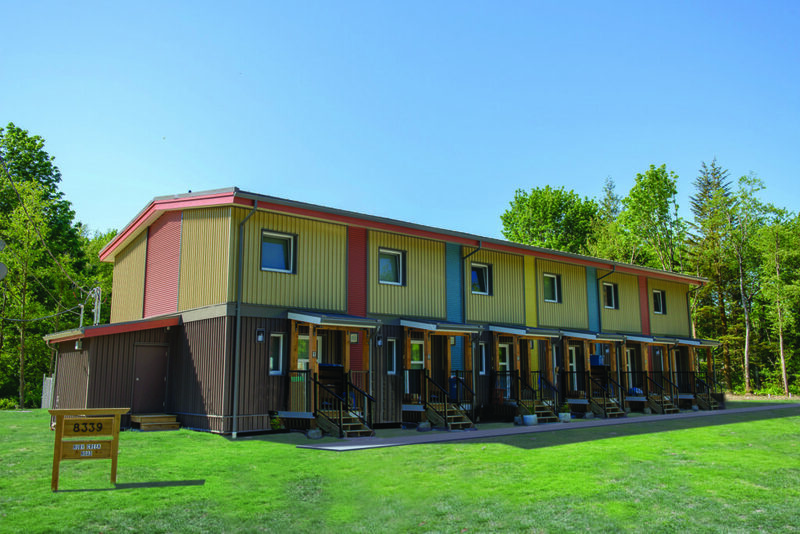 Each storey of each townhome is one module—a total of 12 modules were manufactured at our facility in Agassiz, BC. 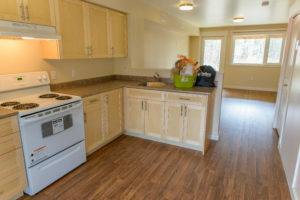 Site foundation work was completed while the modules were built, which significantly reduced the overall project timeline. Once finished, the modules were transported by truck to the site in Ruby Creek (Hope), crane set and installed in five days. 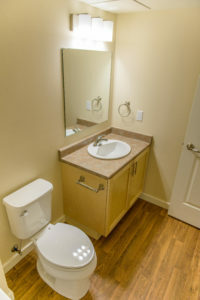 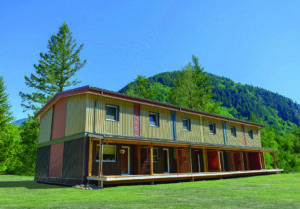 The construction team then proceeded with completing the final connections, exterior finishing, and Passive House testing to achieve a successful completion of a modular Passive House housing project for the Yale First Nation in Hope, BC.